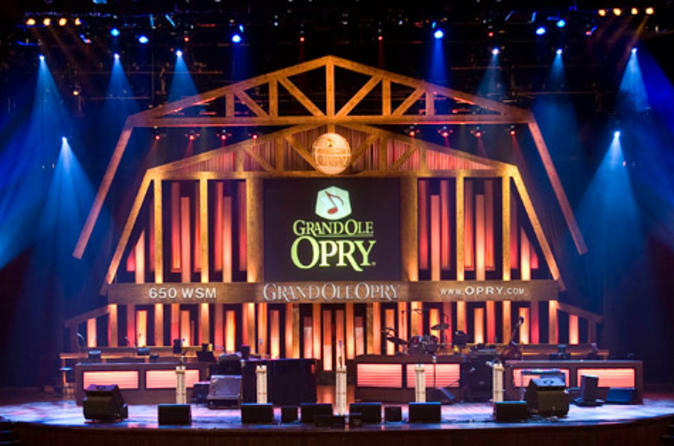 Discover two of Nashville’s cultural gems on this guided 3.5-hour tour as you visit the famous Grand Ole Opry House and Gaylord Opryland Resort. With your guide, go backstage on a narrated tour at America’s premier country music venue and stand where thousands of world-renowned stars have performed. Walk in the footsteps of countless country music legends and get an exclusive, behind-the-scenes look at this legendary venue and show that made country music famous. Then, head over to the luxury Gaylord Opryland Resort to tour its beautiful indoor gardens and majestic waterfalls as you experience a ride aboard one of their Delta River Flatboats. Guarantee your spot on this popular tour by booking ahead today! After a downtown Nashville hotel pickup, go backstage at the legendary Grand Ole Opry House, where the world’s longest-running live radio show is still performed. Walk in the footsteps of country music’s superstars and get an exclusive look into what happens behind the scenes of the show that made country music famous. A knowledgeable tour guide will share a few of the many stories about the Opry and the country music superstars that have played here, from the past to the present. See photos from some of the Grand Ole Opry's biggest moments in history and walk through the artist’s entrance, where new stars, superstars and the legends of country music enter the building on the night of a show. There might even be an opportunity to step on stage and into the famed wooden circle as countless musicians and artists have done for many years. Additionally, the tour may include a stop at Studio A, a live television studio and the former home of the hit television variety show Hee Haw, which aired from 1969 until 1992. Also, see some of the 18 artist dressing rooms, decorated with a unique theme honoring a country music legend and enjoy a video from Grand Ole Opry members Blake Shelton or Darius Rucker, who will offer their personal perspectives on what it’s like behind the scenes at the Opry. After your tour of these Nashville icons, you’ll be taken back to your hotel.